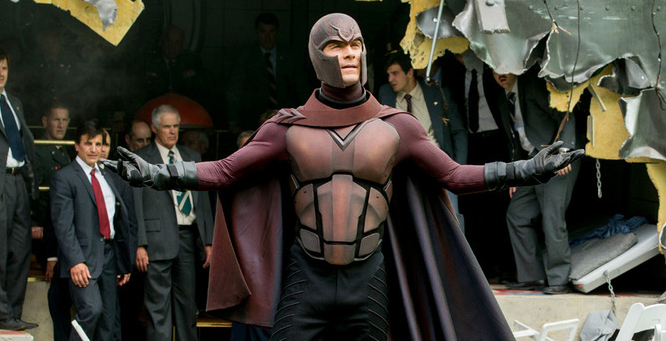 Let me say this upfront: “X-Men Days of Future Past” is emblematic of the worst extremes of digital movie making. Colors are overly strong to the point of being unnatural (a certain blue character looks more like a Na’vi than Rebecca Romjin’s version), while the rest of the image is washed out and dark. Due to an apparent creative misstep with the shutter speed (if you have any other theories, I’d love to hear them), motion has become a smidgen too quick and un-life like, looking like a less extreme version of the controversial high frame rate we saw on the Hobbit movies. “X-Men” and “X2: X-Men United” are full of beautiful filmic images, and there’s a stylish panache to the visual throughout each. So why does Days of Future Past look closer to a behind the scenes video reel than a 200 million dollar tentpole? Key scenes felt robbed of a majesty they otherwise would have had, and although the average audience member might not consciously notice these problems, they can certainly feel them. 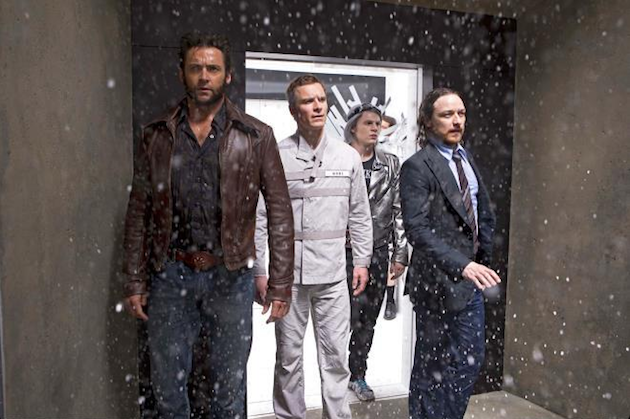 Thankfully it didn’t stop “X-Men: Days of Future Past” from being one of the most enjoyable films to hit this summer. Summarizing the plot for Days of Future Past is difficult. There are multiple timelines, past and future, and an ensemble cast unlike any assembled for a big budget film. Not far off from Wes Anderson’s “The Grand Budapest Hotel”, almost every scene is a hello and a goodbye to a major star, here in leather or in makeup. 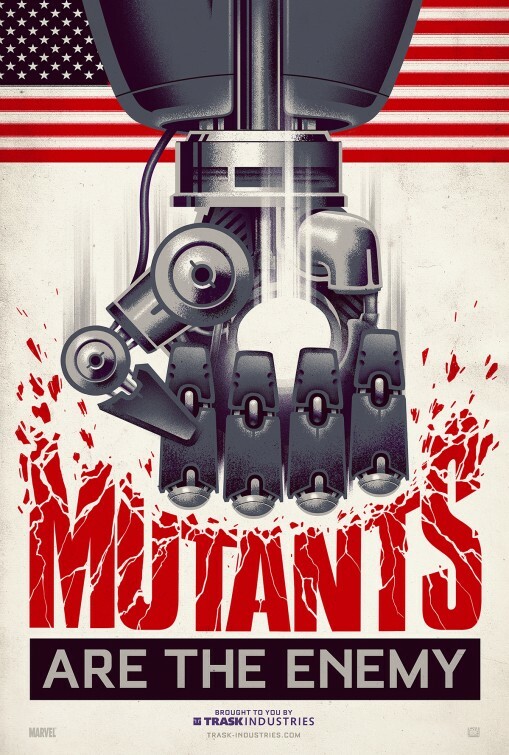 The plot combines the cast from the first three X-Men films (plus spin-offs) with “X-Men: First Class”, leading to story that allows for acting giants Sir Ian McKellen, Patrick Stewart, Hugh Jackman, Jennifer Lawrence, Michael Fassbender, and James McAvoy to take turns stealing scenes. These aren’t just stars: they’re top mark talent, and the number of nominations between them is staggering. Borrowing a page from the James Cameron school of time-leap plotting, the future—which is the timeline with the veteran cast—is war ravaged and deformed. We see it in shades of shadow and gloom, and the sense of fun Singer must have had while creating his dystopia is palpable. In this timeline, mutant and human alike are hunted and quarantined—not unlike the concentration camps that bore Erik Lensher’s seething hatred towards oppression. Instead of shock troops and swastikas, wicked-cool but deadly robots called sentinels police the world, and only the worst of humanity remains. Their design is reminiscent of Evangelion, and they have the uncanny ability to adapt to whatever mutant they’re fighting and turn that power to their advantage—if they’re hit with fire they turn into ice. They’re adroit in their brutality and relentless in their pursuit. Fight scenes with the sentinels immediately rank with the series best, and show Singer’s effortless understanding of this universe. 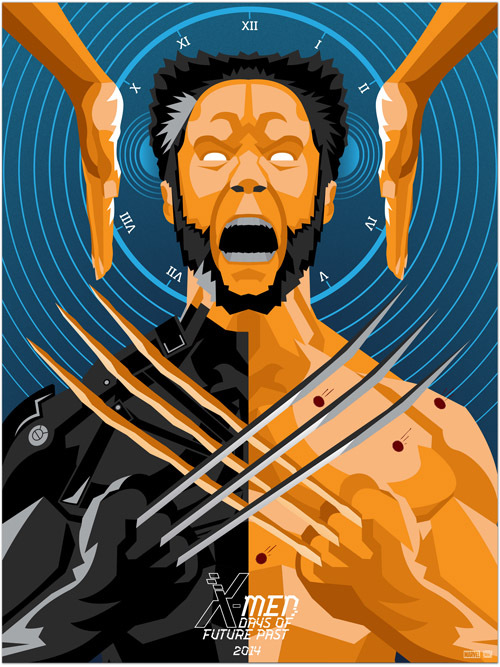 He’s a conductor, and each mutant power is an instrument. Portals open and close as fire and ice shoot between them, and these sequences are composed of longer takes that heighten their showmanship. They’re undisputedly thrilling, and mark a union of creativity and production value that’s lacking in most summer tentpoles. Before the film hits the ten minute mark we’ve been told director Bryan Singer and screenwriter Simon Kinsberg’s time travel rulebook, only to be told immediately afterwards there are exceptions to these rules. The original cast needs to venture into the past to prevent their grisly future, but due to a timey-wimey limitation, only Wolverine’s consciousness can travel to the past. It’s a testament to the film that what could have been a typically imperceivable web of time travel shenanigans somehow feels immediate and simple. There are surely problems with the continuity, but I was never provoked to question them—Singer masterfully gives the illusion that all the puzzle pieces fit. Wolverine’s task is a complex one and won’t be spoiled here, but suffice it to say he has to round the X-Men together at a time that, as Stewart’s Professor X tells us, they couldn’t be farther apart. It’s a fun role reversal for Jackman, who has to play a version of Wolverine that nearly takes the “anti” out of anti-hero, although he still has a mean bite. The paradox of Days of Future Past is that the cast is its greatest asset but also that reveals the film’s biggest flaws. Singer and company use the stand-offs between the cast as though they carry the same oomph as the effects-heavy set pieces. They do. But if it weren’t for the venerable, wholly effective and convincing cast, the current state of the story would be revealed as flimsy and undernourished. Character development is awkward: transitions between emotional states lack nuance, and internal motivation is secondary to showy acting. When we finally meet the younger Professor Xavier, James McAvoy is a one-man show of how complex it can be to sulk. He reveals Xavier’s tormented psychology as though it were a weapon of storytelling, and in minutes his vulnerable voice and effacing physicality show a weighty emotional history that fluently wins our empathy. It’s too bad that his performance is a distraction—if it weren’t for his screen-grabbing gravitas, we’d realize his characterization amounts to a couple throwaway lines by Beast (Nicholas Hoult) about how he ended up this way. On a similar note, the characterizations of the other two main characters: Fassbender’s Magneto (who now bellows so similarly to Sir Ian McKellen, it’s eerie) and Lawrence’s Mystique, are shown strictly through the fervor of their performances. There are strikingly few quiet moments for either character, and if the shooting script represented the final cut of the film, the page would yield little intimacy for both of them. 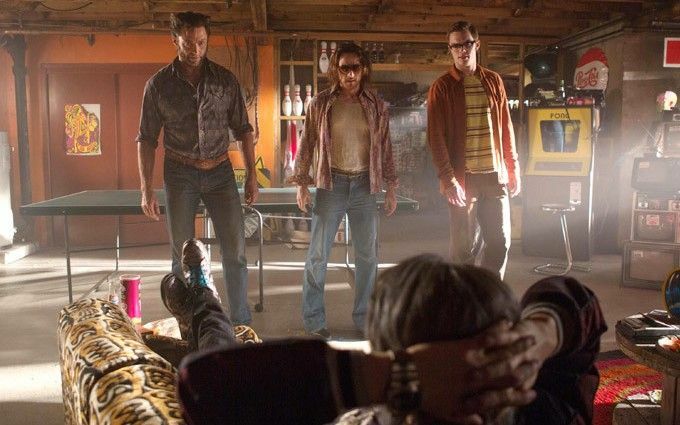 There’s a gnawing sense of absence to Days of Future Past—missing shots, missing moments, and even missing scenes. Actors are used to fill in the blanks. The rest of the film unfortunately follows suit. For a film so jam-packed with explosive action and raised voices, remarkably little happens. Instead of a story constantly in motion, a few peaks exhaust the tension. Really, three, maybe four things actually happen, and it’s too clear when something is happening and when something isn’t. Let me explain through contrast. In X2, few moments feel wasted. If a scene doesn’t further the story, it deepens a character or explores a theme. There is a gradual build of ideas that conjure a sense of stakes only possible if you understand the world and the characters in it. Here, motivations are loosely defined by brief throwaway lines of dialogue, and maddeningly, so is the plot. Time isn’t taken for each scene to logically flow into the next. This is most obvious in how Xavier and company discover the location for the final set piece. It isn’t by their journey through the story, but because, of all things, it was on television. A character announces that they have to do X, and then they do it. It’s exposition followed by action, and it’s a tiresome, uninspired formula. There’s a naked nonchalance in how lazy the storytelling is, and since there’s never a build up of tension, you can’t fear for any of the characters. Another problem is that other than those in the future, the action sequences lack the stylized ingenuity of the X2: X-Men United. They’re never at risk of being bland, but they’re disappointing for a filmmaker who shows vision elsewhere. There’s one amazing exception to this, however, and it’s become the film’s most talked about scene. Despite some misjudged marketing that led to a widespread rejection of Singer’s version of Quicksilver (look for an altogether different iteration in next year’s The Avengers: Age of Ultron), he’s a scene-stealer. Quicksilver’s ability is supersonic speed. In the film’s most show-stopping moment, time appears to halt; assailants stand in stasis, weapons have been fired, bullets are suspended in mid-air. But time didn’t halt: we’re just experiencing it through the point of view of the loudmouthed silver-haired speedster. The scene is the film’s most cathartic release, combining Quicksilver’s goofy laugh-out-loud antics with visual astonishment. It may be the best scene of the summer. The film is far from being boring, in fact it’s a rip-roaring good time, but any chance at real resonance is lost. Days of Future Past is in such a hurry that it starts to stumble, and moments of perfect balance are few. The whole film builds towards an impressive climax that ties together all the knots in a satisfying way, but it could have hit harder. Like the Batman franchise, the X-Men series depicts a battle of ideology and personal conflict rather than the typical ticking bomb. But neither the conflict between the characters, or indeed the themes, have enough time to develop clearly. We get hints and whispers of grand complexity, but Singer left any real depth on the cutting room floor. If a longer cut exists, and I suspect one does, it’s destined to be a considerably tighter film. But at least it’s still fun. You can find this review and more on Brendan’s site, The Metaplex! Apparently the movie was shot at 48fps, the same as Hobbit, and there was a bit of controversy if it would be released as HFR. Here’s a good explanation of shutter speeds used on Hobbit: http://www.videocandycompany.com/?p=224 Basically they made a compromise of shutter speed that isn’t ideal in 48fps and looks strange in 24fps. If they’ve used one that looked normal in one, it would look horrible in the other. So did X-men copy the same tactic and that’s why it looked off? I don’t know, but it sounds silly and stupid.